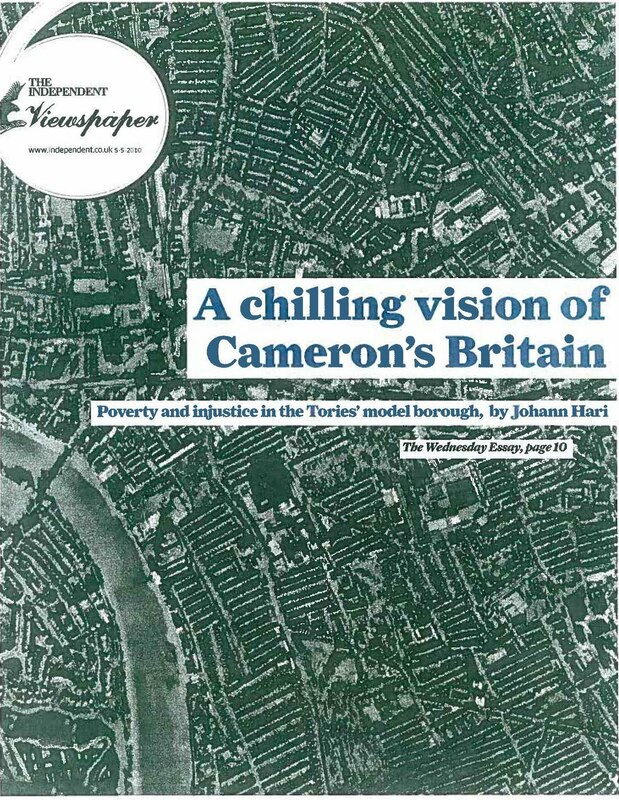 The Cowan Report: Hammersmith & Fulham: "A Chilling Vision Of Cameron's Britain"
Hammersmith & Fulham: "A Chilling Vision Of Cameron's Britain"
Johann Hari has written an insightful piece in yesterday's Independent. 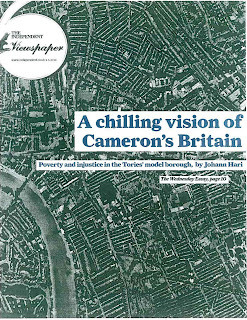 It sets out how the London Borough of Hammersmith and Fulham provides "A chilling vision of Cameron's Britain". It touches on many of the issues my Labour colleagues and I have campaigned on over the last four years. The article considers how David Cameron's favourite Council is a blue print for his idea of Conservative government. You can read it by clicking here. Today is election day. There are local elections to decide who runs Hammersmith and Fulham Council as well, of course, as the general election. My colleagues are campaigning for a better way. One that put's all our residents first and in doing so, we promise to reverse the terrible things the Conservatives are doing - many featured in the Independent's article.